What is a progressive meal? A progressive meal is when you go to more than one place for a single meal. Often people do it by courses, my friends and I tend to do it by what is best known by the restaurant. A few weeks ago, my friends Thomas and Cindy (and a few stragglers later at our third and fourth stop), coordinated a progressive lunch in Houston. 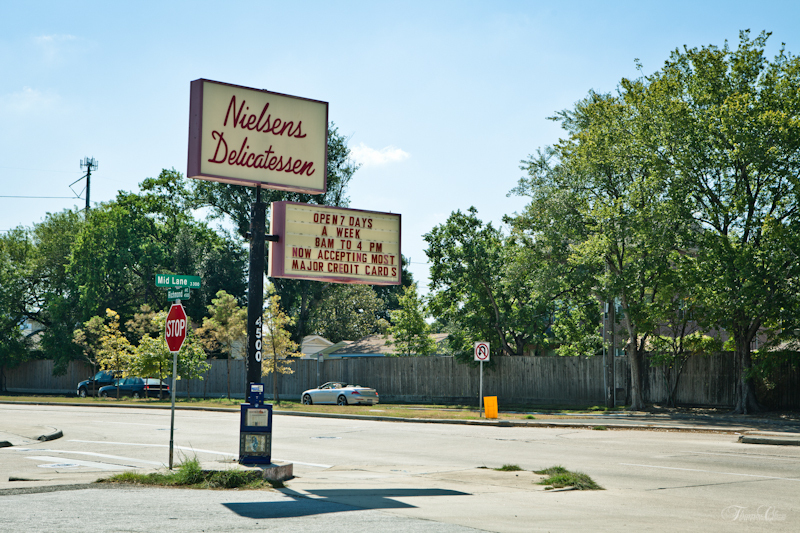 We went to four eateries in Houston for our lunch. 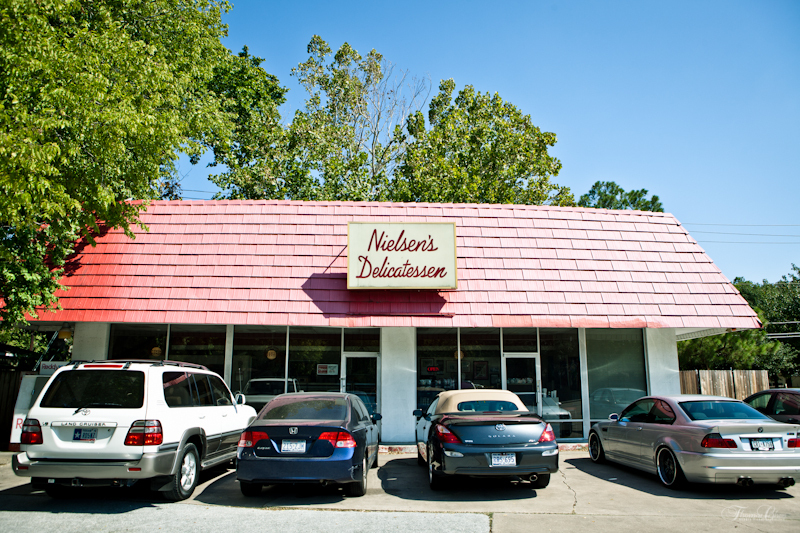 Our first stop was Nielsens Delicatessen, famous for their deviled eggs. We usually do our meals off peak hours so we don’t feel so guilty taking up space because our orders tend to be much smaller. (You know, so we can make it to the other places. It took us our first progressive meal where we ordered large portions and nearly killed ourselves with food to carefully watch our portions and sharing.) You should have seen the guy behind the counter’s face when the three of us ordered in total, just three deviled eggs. We’re almost glad he asked! It gave us an opportunity to explain that we were eating at more than one place for lunch and that his place was our first place. He still looked at us skeptically. Word on the street is that this sandwich shop is fantastic for sandwiches but the star of most meals here is usually the deviled eggs. A fluffy cloud of eggy goodness and spices. 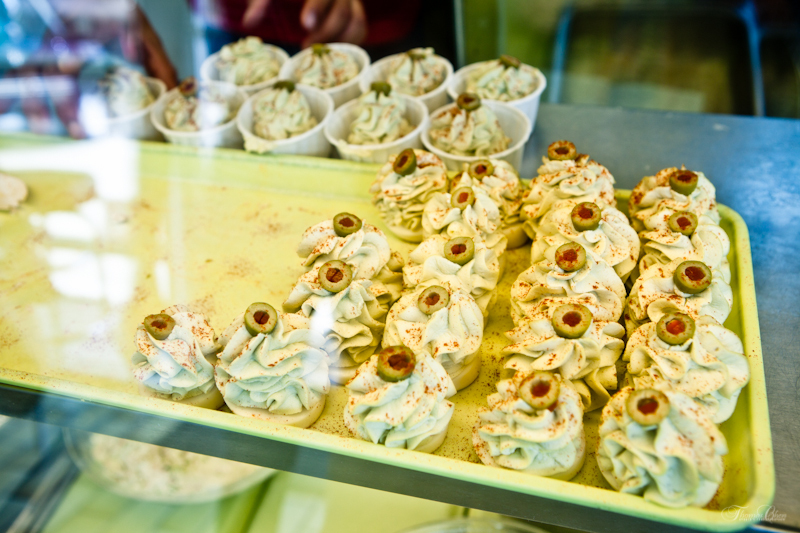 The olive is a pretty garnish that complements the fluffy goodness. I daresay they’re the best deviled eggs I’ve ever had. A sentence, I never thought I’d utter. 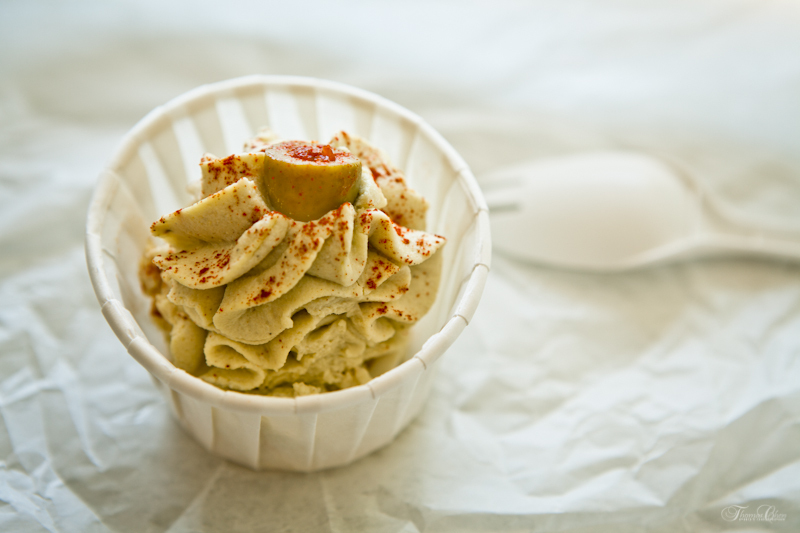 Actually, I never thought I’d dedicate an entire post to deviled eggs. * The photos used in this post were all taken by my eating buddy and talented photographer, Thomas Chen. Next article Wordless Wednesday: I Was On Cable TV Last Night!